I was on my second re-heating of my morning coffee and needed a break. It was only 8:30 and I was already struggling to find a moment to sit and breathe. I wanted my coffee, I wanted it hot, and I wanted five seconds to sit without answering another “why” question. 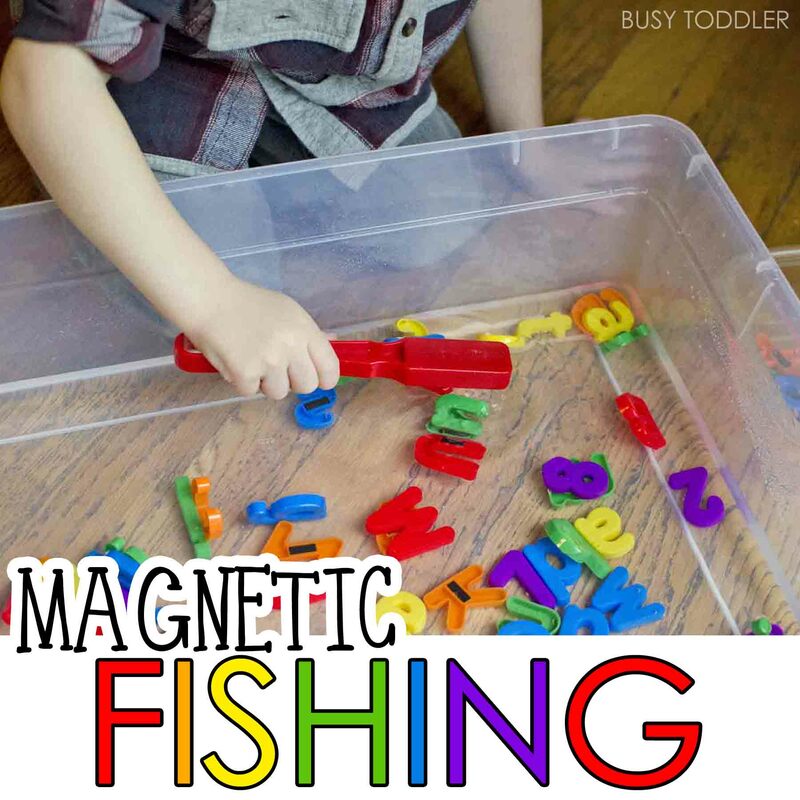 Enter magnetic alphabet fishing aka my new favorite quick and easy toddler activity. 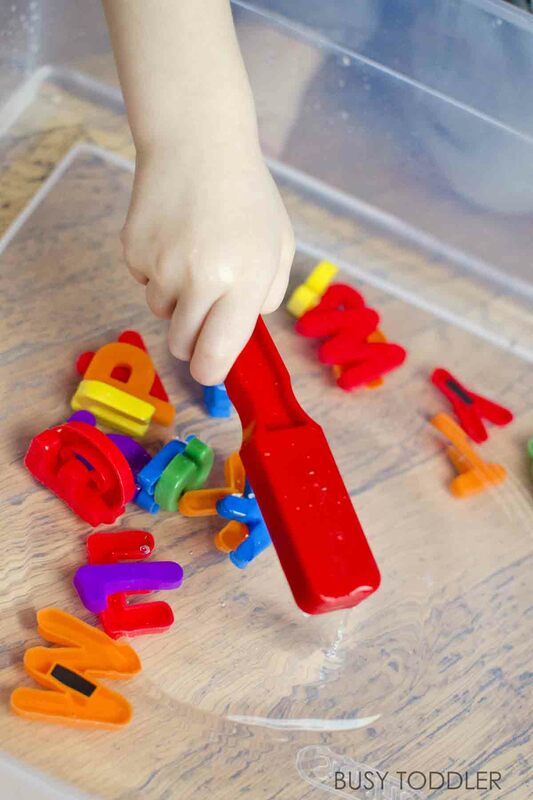 Magnetic alphabet fishing (which was inspired by this activity from Fun with Mama) was a perfect combination of sensory, literacy, and quiet independent toddler fun. What materials do you need for this activity? 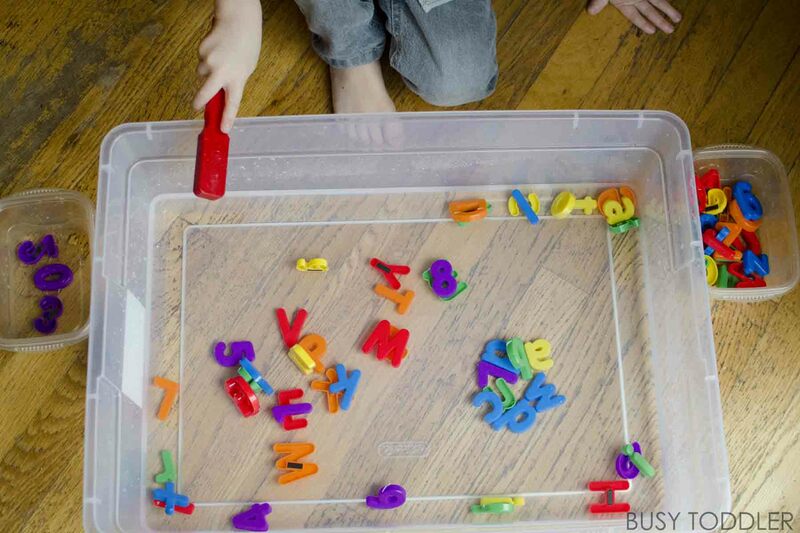 Most of my activities use supplies we have just lying around our house and this activity was no different. We ended up using this set up in a couple of different ways – this wasn’t a one-and-done activity! 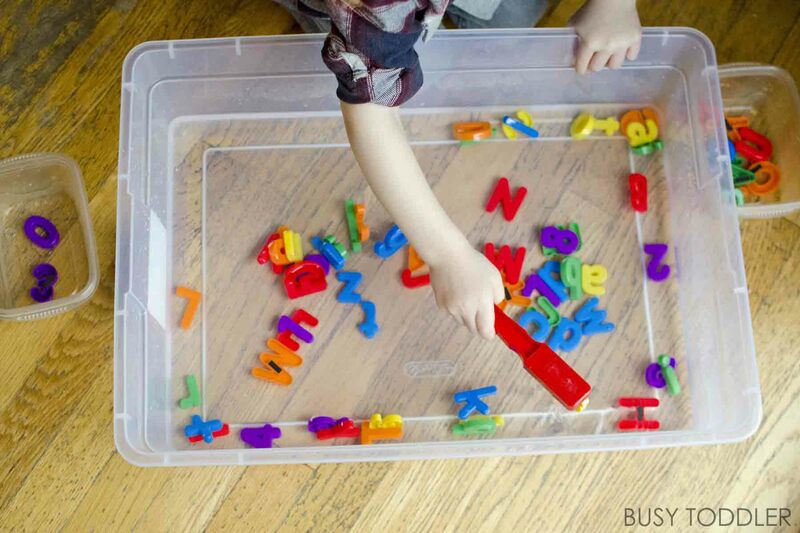 The initial prep was to fill the storage tub with some water and drop in the alphabet magnets. 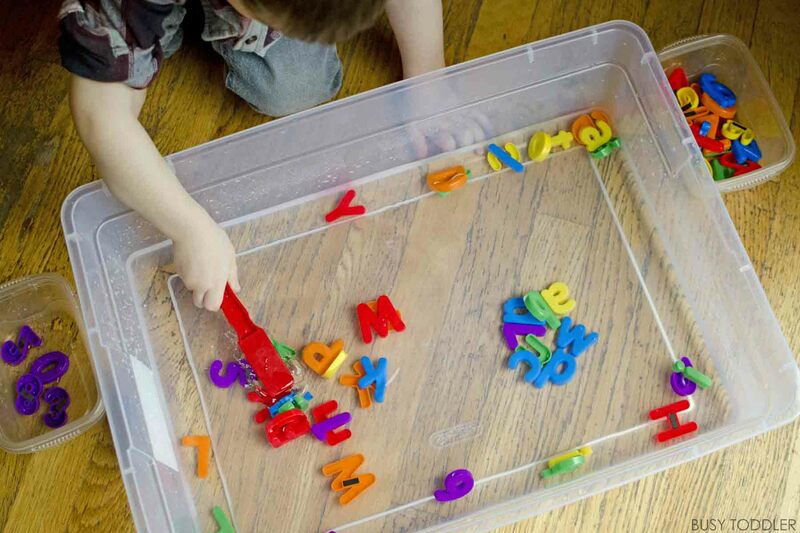 I then handed my son (3.5) a magnetic wand to begin fishing out the letters, but I didn’t want him to just fish them out. I had a few ideas up my sleeve. I knew I needed this activity to go on for a while or at least as long as it took me to drink my finally hot coffee and maybe eat some breakfast without giving away any bites. My son was of course very supervised during this activity. I set two plastic containers on either side of our make shift fishing pond and had my son do some sorting work. 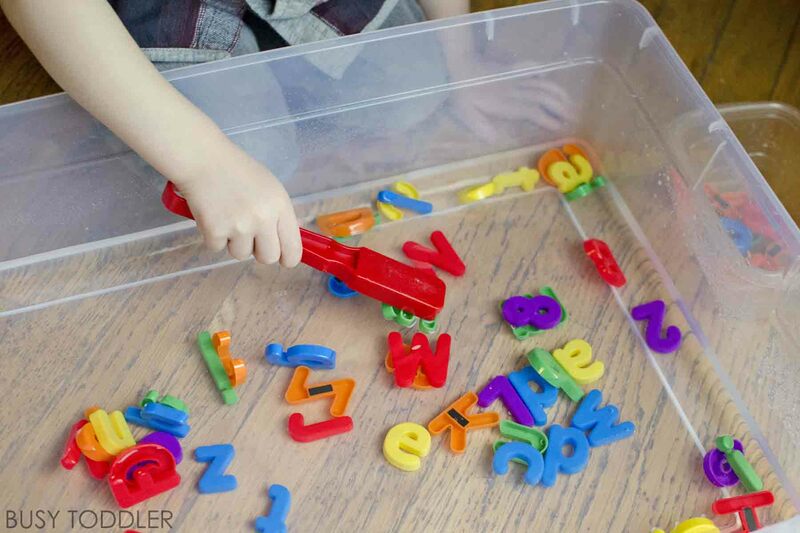 He sorted by letters vs numbers, by capital letters vs small letters, and even by colors (I had to add a few more containers for the color sort). 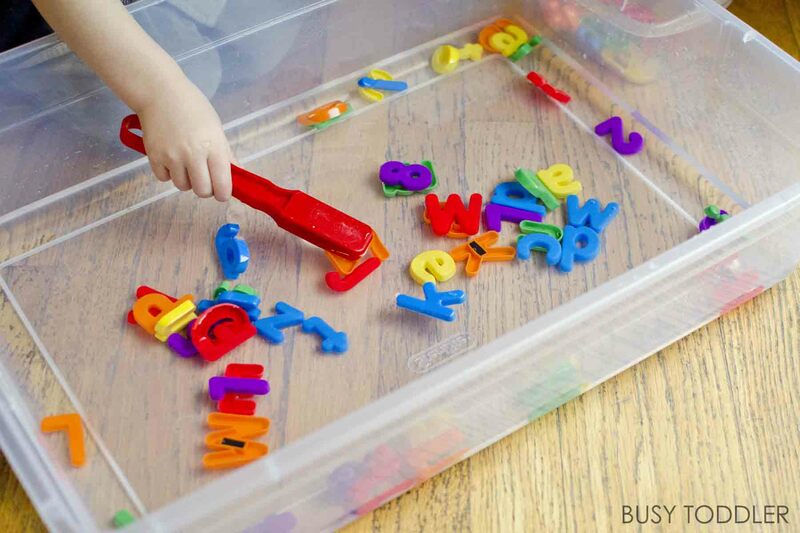 Can you guess how much a toddler is learning here? 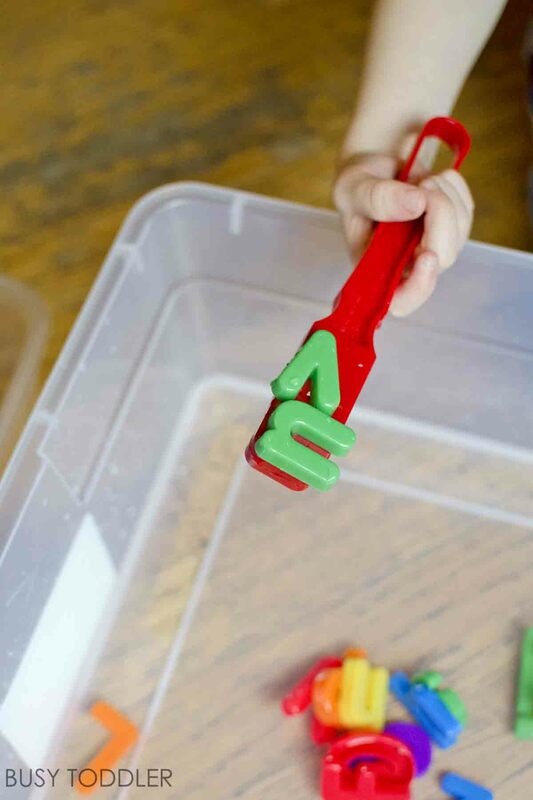 Making this magnetic alphabet fishing activity was the perfect plan to give me a little break in the morning. My son had a blast and I had a blast enjoying my breakfast in peace. Quick and easy activities are a lifesaver. 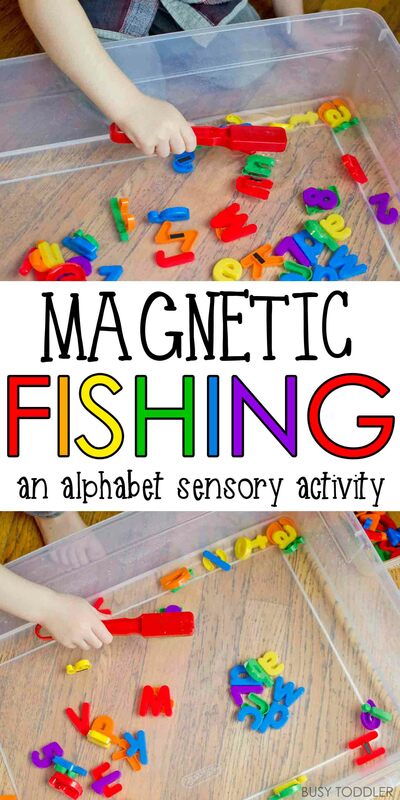 Will you try making magnetic alphabet fishing? This is awesome! We’ll definitely get one of this!